An all in one Marketing Automation (MA) software is specifically designed for marketing teams and businesses who want to automate their repetitive marketing tasks, improve productivity and measure the marketing efforts. The marketing automation tools are useful to create specifications and targeted outcomes for a particular task or process, which are then interpreted, stored and executed by the software. This improves overall efficiency for marketing teams and reduces errors caused due to manual data entry. Marketing automation platforms consist of a wide range of features like email marketing, social media marketing, lead generation, and more. They can easily integrate with CRM tools to achieve the holy grail of lead conversion and revenues. It is an inbound marketing automation platform which is the best marketing automation for small businesses and it transforms the way you do business. It aims to utilize content to help you “get found” by your target audience instead of using outbound methods like cold calls, direct emails or TV ads. Offering helpful content to the relevant audience will enable trust building and eventually lead conversion and revenues. It also improves sales and marketing team alignment through a host of features like email sequences, live chats, book meetings, predictive lead scoring, contact & pipeline management, and reporting resulting in improved business productivity. It’s an easy to use marketing automation software which helps sales and marketing teams to collaborate better and generate revenue. It includes lead nurturing and scoring, email marketing, and ROI reporting for better sales and marketing alignment to generate high-quality leads, shorten sales cycles, thus, demonstrating marketing capabilities. It’s a powerful and easy-to-use marketing automation provider that helps sales and marketing professionals to drive revenues and improve marketing accountability. It provides a cloud-based marketing software platform for companies of all sizes to improve customer relationships. They offer a free trial and no setup charges. It is a B2B cross channel marketing solution which helps marketers in planning and executing automated marketing campaigns while ensuring a personalized customer experience to each prospect. 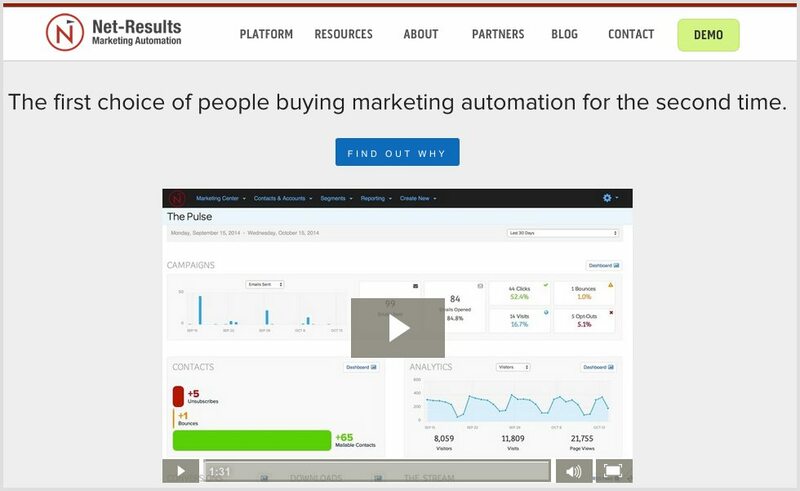 This marketing automation platform helps lead generation and eventually improves ROI. 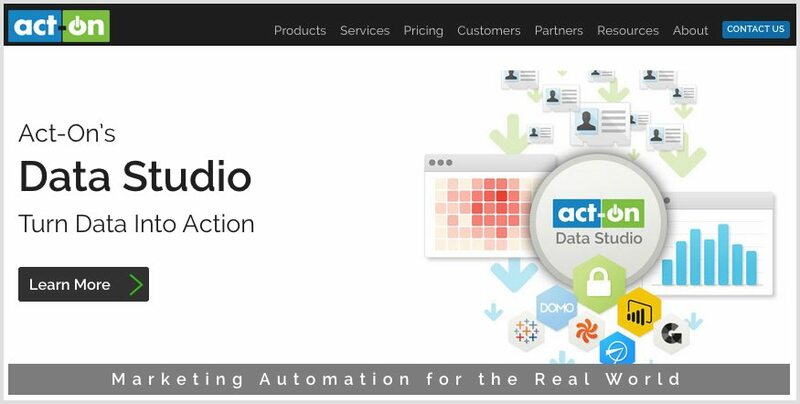 Act-on had to be a part the marketing automation tools list. It is a cloud based marketing automation platform which allows marketers to integrate inbound, outbound and lead nurturing activities to maximize their ROI on marketing investments. It is best suited for small and medium sized businesses. This marketing automation platform is ideal for small and medium sized businesses as it aligns sales and marketing activities for improved revenue generation. It enables the user to capture leads from all sources- online campaigns, websites, email, call, chat and many more. 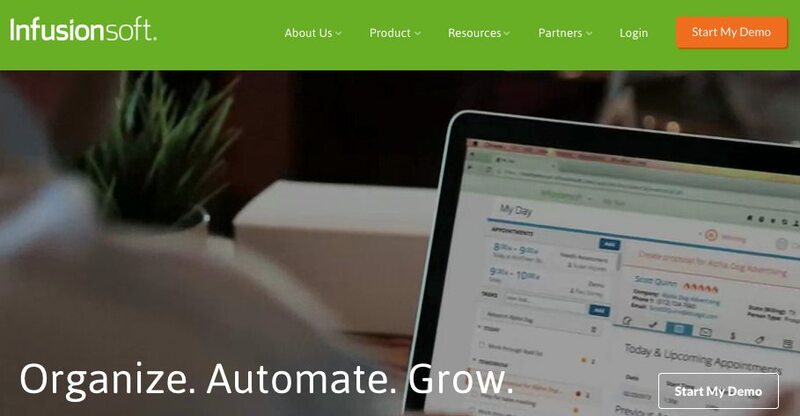 It is one of the best marketing automation tools for small business owners that help them get organized, grow sales and save time. It assists in creating and executing marketing strategy, store all customer records and interactions in one place, capture new leads, shorten the sales cycle etc. It automates all repetitive marketing tasks like follow up with prospects, contact management, invoicing and payments. It’s also used by bloggers for managing marketing campaigns, emails more effectively. A popular marketing automation platform which is popular with B2B companies who aim to improve revenues and growth through better sales and marketing alignment. It helps companies to build a large revenue funnel by creating customized digital conversations while collaborating between cross-functional teams. The marketing and sales teams measure these digital conversations to deliver desired results by communicating with the prospects and taking necessary action. This marketing automation platform, as the name suggests, helps businesses to out market their competition. It provides quantifiable results to marketing teams thereby, maximizing productivity. It integrates email marketing, landing pages, social media, press outreach, and campaign analytics in a comprehensive cloud-based solution which is user-friendly yet provides detailed insights. It is a relatively simple and easy-to-use marketing automation platform which will automate all kinds of marketing tasks. It helps to uncover qualified leads and nurture them, thus driving revenues and growth. It allows you to do more in a given time, thereby allowing your sales and marketing teams to do something more productive. 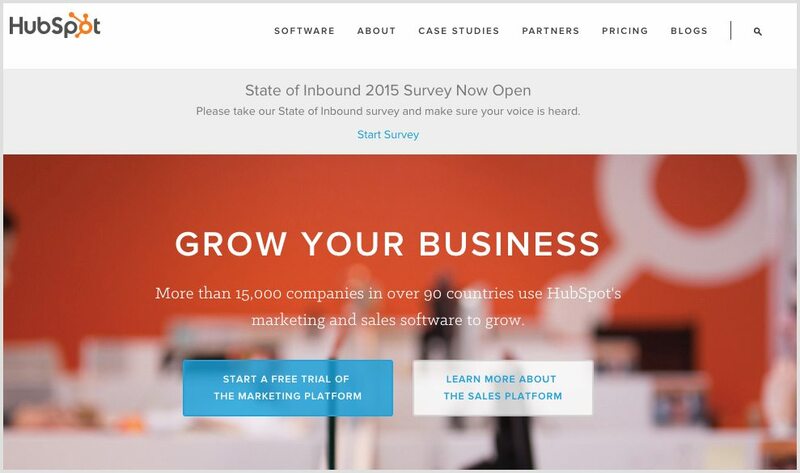 Which is the best Marketing Automation Tool for Your Business? There is no right or wrong answer to this. But while choosing the best marketing automation tool for your business, you must take into consideration a number of factors. Learn how to compare marketing automation vendors based on an important criterion. According to SiriusDecisions, a leading sales and marketing analyst firm, as much of 70% of the buying cycle may be self-directed and completed prior to sales engagement. 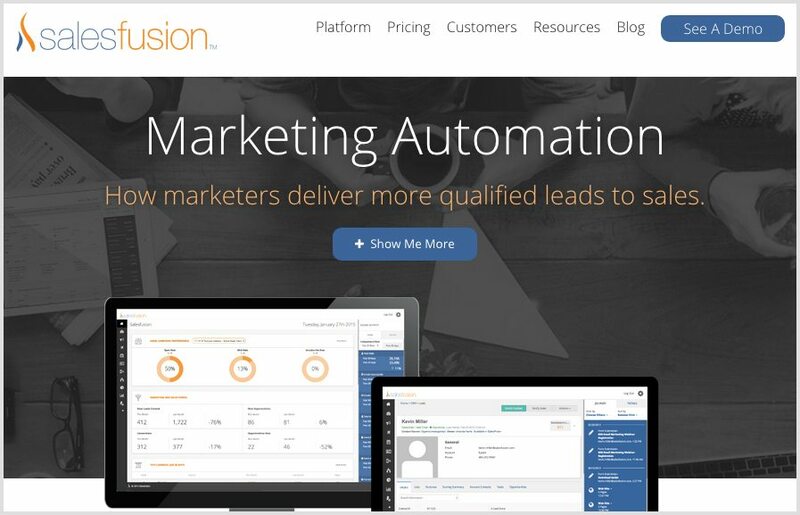 Need help in selecting the best marketing automation tool for your business? Let the certified marketing automation experts at Prodigitas help you in choosing the right marketing automation platform which will take your business to the next level!